Jimmy Carter Jr is an American Politician and author. He served as the 39th President of the United States from 1977 to 1981. 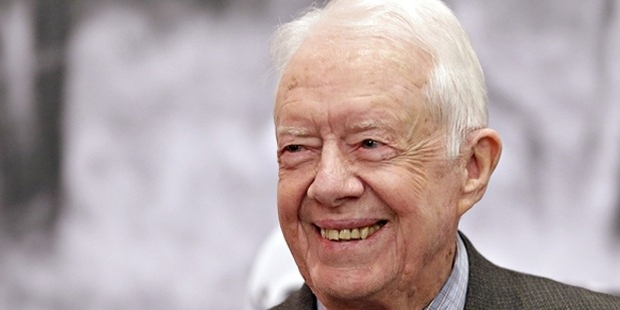 He was awarded the Nobel Peace Prize in 2002 for his work with the Carter Center. He has served as the Georgia State Senator for two terms from 1963 to 1967 and 1971 to 1975. He defeated Gerald Ford to become the President of United States in 1976. Carter created two new Cabinet-level departments during his term. Carter was born to James Earl Carter and Bessie Lillian Gordy on October 1, 1924 in Georgia. Carter had a nomadic childhood as his parents moved several times. Carter always wanted to attend the US Naval Academy in Annapolis and was finally admitted in 1943. He graduated in 1946 and was commissioned as an ensign. He completed qualification for command of a diesel-electric submarine program. He was admitted to the US Navy’s fledgling nuclear submarine program in 1952. Carter became a prominent member of White Citizens’ Council and the Baptist Church. Carter announced to run for the State Senate seat in 1962. 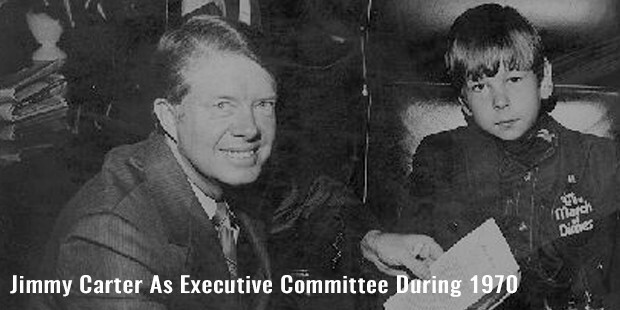 Within two years of the Civil Rights Movements, he landed on the state Democratic Executive Committee. In 1970, Carter faced Carl Sanders and decided to run a more modern campaign for the position of the Governor of Georgia. Carter became the 76th Governor of Georgia in 1971. 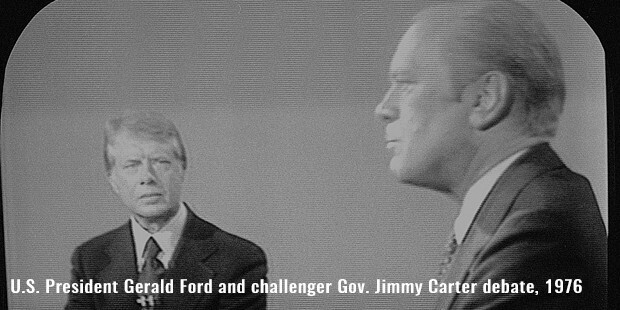 In 1976, Carter entered the Democratic Party presidential primaries. He visited 37 states and delivered 200 speeches. 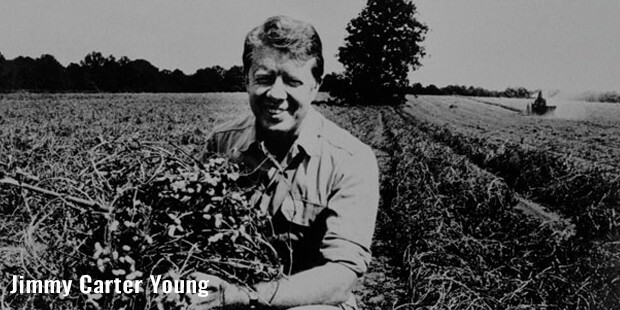 In 1976 Carter became the first choice of the democratic voters. He was elected as the President of the United State in 1977. During his term as President, Carter faced a lot of controversies like Iranian Crisis and Energy Crisis. Carter again campaigned for re-election in 1980. The campaign was the least successful campaigns in the history of United States. Carter was defeated by Ronald Reagan in the Presidential elections. 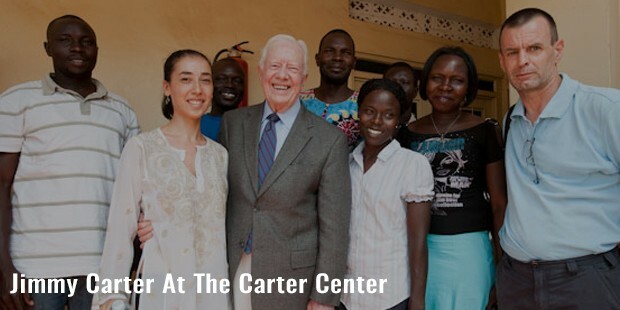 Carter established The Carter Center in Atlanta in 1982 to advance human rights and alleviate human suffering. The Carter Center has eliminated 99% of the Guinea worm disease from 3.5 million in 1986 to 148 reported cases in 2013. The Carter Center has also resolved conflicts between Haiti, Bosnia, North Korea and other countries. 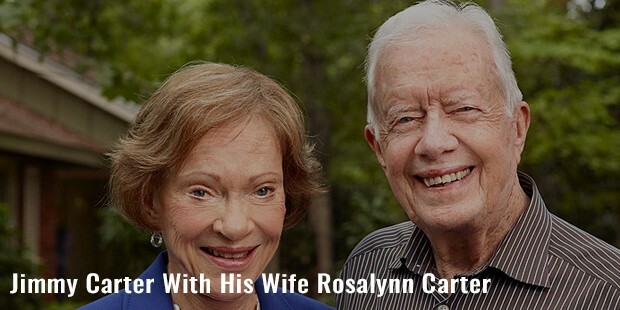 Carter is married to Rosalynn since 1946. 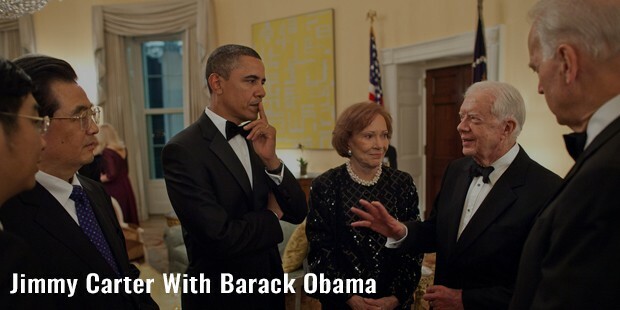 Rosalynn was his sister Ruth’s friend. The couple is blessed with three sons and one daughter. The couple is known for their work as volunteers with Habitat for Humanity. Carter has been diagnosed with cancer that has spread to the other parts of the body. Carter has planned to be buried in front of his home in Georgia.